The French company is sponsoring the Masters Tournament and rider Ben Asselin. The Herms Rider’s Warm-Up Ring will be outfitted with custom Herms jumps. Known to most people these days for selling the Birkin bag, fashion’s ultimate status symbol, Herms actually got its start in 1837 Paris as a harness and saddle workshop. The French luxury retailer has maintained its relationship with the equestrian world ever since by sponsoring riders and major international jumping and dressage events, and through its continued devotion to crafting the finest equestrian clothing and equipment available. 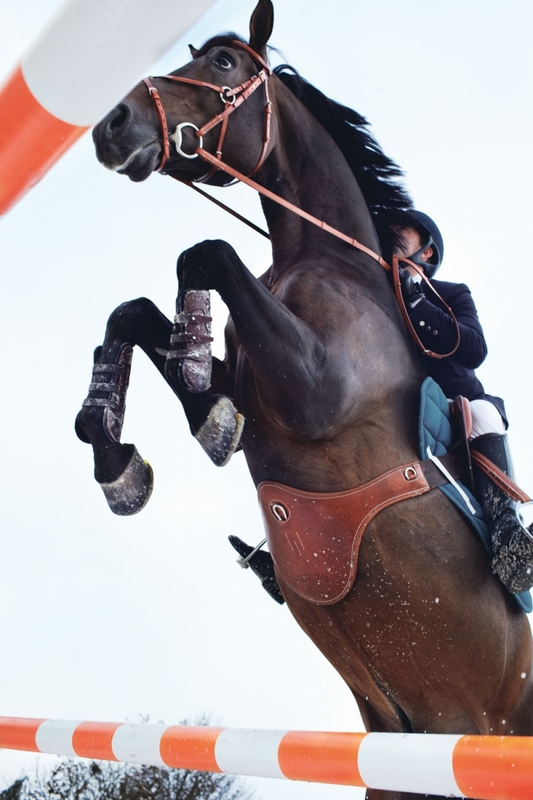 This year marks the first time Herms will sponsor the Spruce Meadows Masters Tournament, held Sept. 9 to 13. It is also the first time the company will sponsor a Canadian rider. 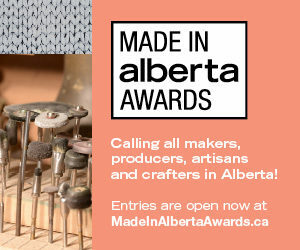 That honour goes to Calgary’s Ben Asselin, a rising star in the show-jumping world, whose equestrian roots are impressive in their own right. His grandparents, Ron and Margaret Southern, built Spruce Meadows, which opened in 1975, giving Calgary one of the world’s finest international horse sports venues. His father is Canadian Olympian show-jumper Jonathan Asselin, and his mother, ATCO chair, president and CEO Nancy Southern, once served as the vice-president of Spruce Meadows. Ben will be competing in head-to-toe Herms equestrian clothing, and, most notably, he’ll jump with a handmade Herms saddle.To satisfy any shopping needs, the luxury retailer will host the Herms equestrian booth featuring a selection of its equestrian clothing, equipment and silks for purchase. The wares will be housed in a custom-built equine environment, and a master craftsman from the Herms workshop in Paris will be present demonstrating the art of saddle making. Herms will also host the Herms Rider’s Warm-Up Ring, which will be clad in the brand’s iconic brown ribbon and consist of two custom-built Herms jumps – a vertical jump and oxer jump – for riders to practice on before they compete. 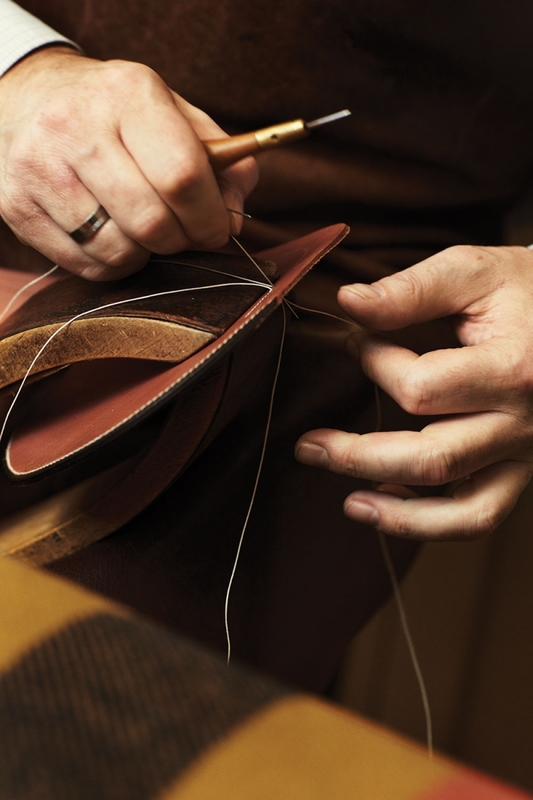 An Herms craftsperson hand stiching a saddle. 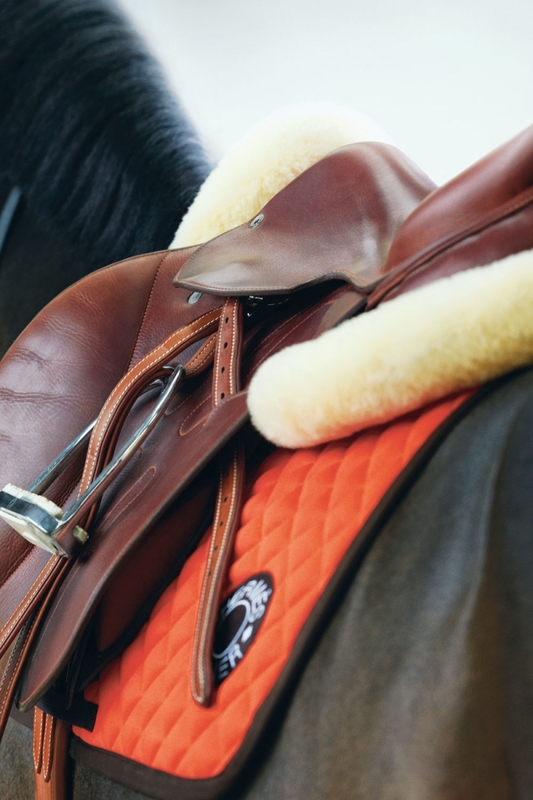 The Herms Cavale saddle, a saddle pad in the iconic Herms orange and a shock-absorbing pad with sheepskin lining.